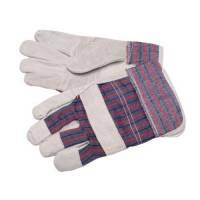 Heavy Duty Rigger Gloves (Pack of 12) 0801565 Pack of 1 Contains 12 pairs of high quality gloves. Ideal for use in construction and heavy duty handling. Conforms to European Regulation EN388. Hard-wearing cowhide rigger gloves. Size 10. Colour grey/blue/red. Speciality Black Nitrile Medium Gloves Pack of 1 "Black nitrile examination gloves. Manufactured from nitrile butadiene. Powder free to reduce dust contamination. Latex free. Tested for European standards EN420, EN388 and EN374. Suitable for infection control, food and chemical contact. Size: Medium." 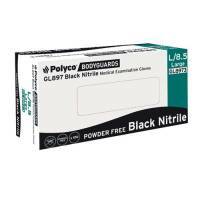 Speciality Black Nitrile Large Gloves GL897 Pack of 1 "Black nitrile examination gloves. Manufactured from nitrile butadiene. Powder free to reduce dust contamination. Latex free. Tested for European standards EN420, EN388 and EN374. 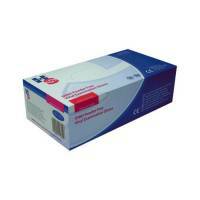 Suitable for infection control, food and chemical contact. Size: Large." Hand-Safe Blue Powder-Free Nitrile Examination Large Gloves (Pack of 200) GN90 Pack of 1 "Blue Powder Free Disposable Gloves manufactured and inspected in accordance with European PPE Directive 89/686/EEC and tested to European Standard EN420, EN388 and EN374. Ideal for chemical handling, food industry, general heavy duty applications." 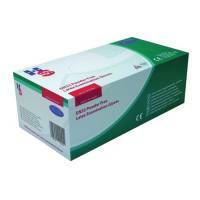 Handsafe Nitrile Powder Free Examination Gloves Small White (Pack of 2000) GN92S Pack of 1 Nitrile gloves perfect for medical and laboratory use. Tight fitting to allow for full dexterity. Suitable for people with an allergy to latex. Prevents contamination. Medium. 10 boxes of 200 pairs. Handsafe Nitrile Powder Free Examination Medium Gloves White (Pack of 2000) HEA01301 Pack of 1 Nitrile gloves perfect for medical and laboratory use. Tight fitting to allow for full dexterity. Suitable for people with an allergy to latex. Prevents contamination. Medium. 10 boxes of 200 pairs. 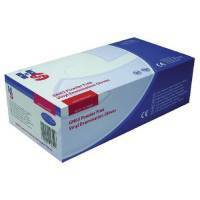 Handsafe Nitrile Powder Free Examination Gloves Large White (Pack of 2000) GN92L Pack of 10 Nitrile gloves perfect for medical and laboratory use. Tight fitting to allow for full dexterity. Suitable for people with an allergy to latex. Prevents contamination. Large. 10 boxes of 200 pairs. 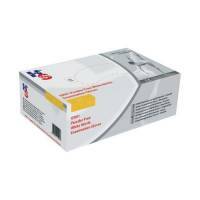 Handsafe Powder-Free Clear Small Vinyl Gloves (Pack of 100) GN65 Pack of 1 "Vinyl examination Gloves, tested to comply with Medical Devices Directive 93/42/EEC and European Standards EN455 parts 1, 2 and 3, EN388 and EN374. 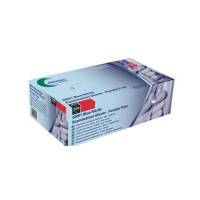 Designed for medical procedures, offering a high quality and dependable latex free glove." 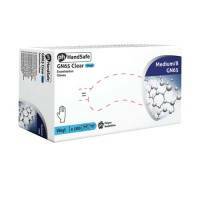 Handsafe Powder-Free Clear Medium Vinyl Gloves (Pack of 100) GN65 Pack of 1 "Vinyl examination Gloves, tested to comply with Medical Devices Directive 93/42/EEC and European Standards EN455 parts 1, 2 and 3, EN388 and EN374. 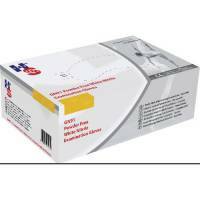 Designed for medical procedures, offering a high quality and dependable latex free glove." 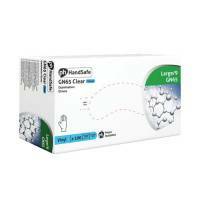 Handsafe Powder-Free Clear Large Vinyl Gloves (Pack of 100) GN65 Pack of 1 "Vinyl examination Gloves, tested to comply with Medical Devices Directive 93/42/EEC and European Standards EN455 parts 1, 2 and 3, EN388 and EN374. Designed for medical procedures, offering a high quality and dependable latex free glove." Hand-Safe Blue Powder-Free Nitrile Examination Medium Gloves (Pack of 200) GN90 Pack of 1 "Handsafe Powder-Free Nitrile Gloves. Manufactured from specially formulated nitrile butadiene polymer. 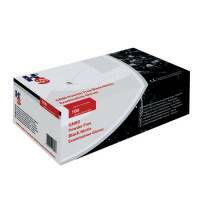 Recommended for use in Medical, Laboratory, Chemical Handling, Veterinary, and Emergency services. Medium. Blue." 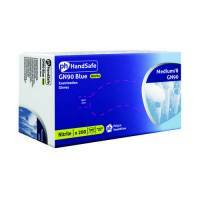 Handsafe Powdered Natural Medium Latex Gloves (Pack of 100) GN03 Pack of 1 "Lightly Powered Latex Gloves for use within the Beauty, Dental, Laboratory, Medical, Pharmaceutical and Veterinary professions. All gloves comply with Medical Devices Directive 93/42/EEC and European Standards EN455 parts 1, 2 and 3, EN388 and EN374." Handsafe Powdered Natural Large Latex Gloves (Pack of 100) GN03 Pack of 1 "Lightly Powered Latex Gloves for use within the Beauty, Dental, Laboratory, Medical, Pharmaceutical and Veterinary professions. All gloves comply with Medical Devices Directive 93/42/EEC and European Standards EN455 parts 1, 2 and 3, EN388 and EN374." Handsafe Powder-Free Natural Small Latex Gloves (Pack of 100) GN32 Pack of 1 "Power-Free Latex Gloves for use within the Beauty, Dental, Laboratory, Medical, Pharmaceutical and Veterinary professions. All gloves comply with Medical Devices Directive 93/42/EEC and European Standards EN455 parts 1, 2 and 3, EN388 and EN374." Handsafe Powder-Free Natural Medium Latex Gloves (Pack of 100) GN32 Pack of 1 "Power-Free Latex Gloves for use within the Beauty, Dental, Laboratory, Medical, Pharmaceutical and Veterinary professions. All gloves comply with Medical Devices Directive 93/42/EEC and European Standards EN455 parts 1, 2 and 3, EN388 and EN374." 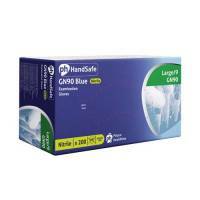 Handsafe Powder-Free Natural Large Latex Gloves (Pack of 100) GN32 Pack of 1 "Power-Free Latex Gloves for use within the Beauty, Dental, Laboratory, Medical, Pharmaceutical and Veterinary professions. 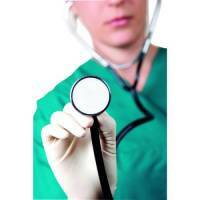 All gloves comply with Medical Devices Directive 93/42/EEC and European Standards EN455 parts 1, 2 and 3, EN388 and EN374." Handsafe Powdered Clear Medium Vinyl Gloves (Pack of 100) GN52 Pack of 1 "Lightly Powered Latex Gloves for use within the Beauty, Electronics, Laboratory, Medical, and Veterinary professions. All gloves comply with Medical Devices Directive 93/42/EEC and European Standards EN455 parts 1, 2 and 3, EN388 and EN374." Handsafe Powdered Clear Large Vinyl Gloves (Pack of 100) GN52 Pack of 1 "Lightly Powered Latex Gloves for use within the Beauty, Electronics, Laboratory, Medical, and Veterinary professions. All gloves comply with Medical Devices Directive 93/42/EEC and European Standards EN455 parts 1, 2 and 3, EN388 and EN374." Handsafe Powder-Free Clear Small Vinyl Gloves (Pack of 1000) HEA00311 Pack of 1 Gloves to prevent contamination and keep skin safe. Allows great dexterity and movement. Latex free to prevent allergies. Clear design. Size: Small. Supplied in a pack of 10 x 100. Powder free. Handsafe Powder-Free Clear Medium Vinyl Gloves (Pack of 1000) HEA00313 Pack of 1 Gloves to prevent contamination and keep skin safe. Allows great dexterity and movement. Latex free to prevent allergies. Clear design. Size: Medium. Supplied in a pack of 10 x 100. Powder free. Handsafe Powder-Free Clear Large Vinyl Gloves (Pack of 1000) HEA00315 Pack of 1 Gloves to prevent contamination and keep skin safe. Allows great dexterity and movement. Latex free to prevent allergies. Clear design. Size: Large. Supplied in a pack of 100. Powder free. Handsafe Powder-Free Clear Vinyl Gloves XL (Pack of 1000) HEA00317 Pack of 1 Gloves to prevent contamination and keep skin safe. Allows great dexterity and movement. Latex free to prevent allergies. Clear design. Size: Extra Large. Supplied in a pack of 100. Powder free.